Its existence has been questioned since the 1960s. Few things capture the human imagination quite like a newly discovered planet — let alone one right in our cosmic backyard. Well, backyard might be a stretch in astronomical terms, but that’s essentially what scientists from the European Southern Observatory announced today. New evidence points to an exoplanet orbiting Barnard’s Star just six light-years from Earth, according to a paper published in the journal Nature. Six light-years might sound like quite the distance – it works out to 9.5 trillion km (5.88 trillion miles). But when it comes to exoplanets, six light-years is hard to beat. The nearest star system to our Sun, for comparison, is the three-star Alpha Centauri, which is about 4.2 light-years away from Earth. Next closest is Barnard’s Star, an ancient star that’s likely about twice the age of our Sun. This dimly-lit red dwarf is the closest single star to our Sun, meaning it isn’t part of a star system. That means that this newly-discovered planet in its orbit, which researchers are calling Barnard’s Star b, is likely the second-closest known exoplanet to Earth. And the accolades don’t end there. Barnard’s Star b is being called a “super-Earth” — a planet with a mass higher than Earth’s, but lower than a planet like Neptune, which is about 17 times the size of Earth. Barnard’s Star b is believed to be about 3.2 times the size of Earth, and it orbits its star every 233 Earth days. 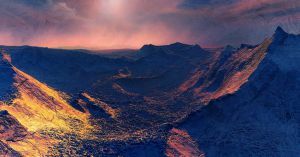 Scientists are pretty sure about the existence of Barnard’s Star b. That assurance is striking, because scientists have been searching for planets surrounding Barnard’s Star for decades. Peter van de Kamp, a Dutch astronomer, argued in the 1960s that there was not one planet orbiting the star, but two Jupiter-like gas giants after observing “wobbles” through his telescope. He’d been watching the star since 1938, but his claims were refuted in the 70s. In fact, those wobbles might have even been the result of a telescope that needed cleaning. Seriously. Van de Kamp stood by his claims until his death in 1995. But he wasn’t the only one looking into the possibility of exoplanets orbiting Bernard’s Star. 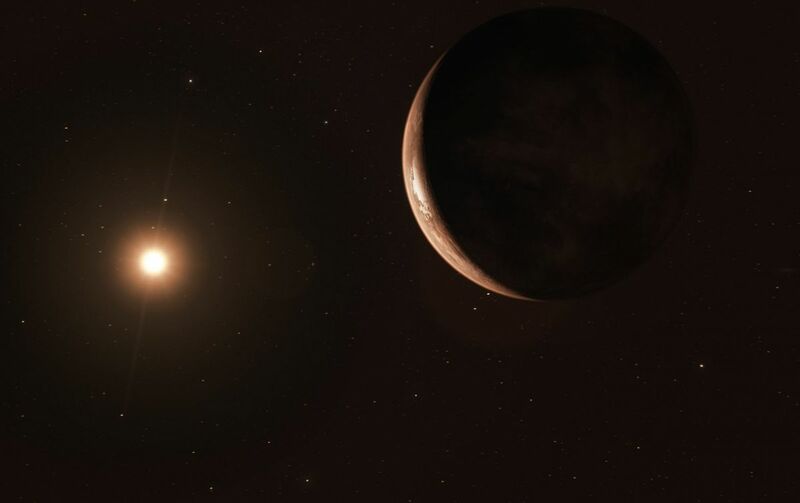 In the Summer of 2012, a group of researchers led by UC Berkeley’s Jieun Choi doubled down on the evidence against Van de Kamp: After 25 years of measurements, they concluded that “the habitable zone around Barnard’s star appears to be devoid of roughly Earth-mass planets or larger,” according to The Atlantic. These newest observations by the ESO show that, even if it might have been because of a fluke, Van de Kamp may have been right. In fact, Barnard’s Star b was discovered using that same “wobble” method, more formally known as the “Doppler effect.” As a planet orbits its star, its gravitational pull causes the wobble that can be seen using a high-powered telescope, and measured. So the big question: could there be life on Barnard’s Star b? It’s disappointing, but all current evidence points to a resounding “no.” And that’s where UB Berkeley’s previous 2012 findings still sort of stand. The planet in question is close to Barnard’s Star — only 0.4 times the distance between Earth and the Sun. Great! Must be in the Goldilocks zone, right? Wrong. Unlike our Sun, Barnard’s Star is dimly lit. It only provides this new world with just 2 percent of the energy that the Earth gets from the Sun. The new exoplanet also lies close to the “snow line,” the region where water becomes ice. That means its surface temperature is probably around –170 ℃, “making it inhospitable for life as we know it,” according to the ESO. Still, none of that should discourage the excitement that comes with such a discovery. Just six years ago, we’d given up hope of finding a planet orbiting Barnard’s Star. Now we know we were wrong. And luckily there were scientists who were persistent and kept looking. Who knows what else could be hiding in spots that we’ve previously ruled out? NASA’s Kepler has discovered 3,837 exoplanet candidates to date. That number is only going to grow as our exoplanet-hunting technology becomes more advanced, and as international collaboration becomes more commonplace. This particular discovery was a result of the Red Dots and CARMENES projects, and used ESO’s famous planet-hunting HARPS and UVES spectrographs. In total, the combination of all data led to a total of 771 measurements. Follow-up observations are already underway at different observatories worldwide. The ability to combine measurements from multiple high-precisions instruments all over the world was key – and something scientists like Van de Kamp didn’t have access to in the past. And with upcoming work like the James Webb space telescope, we could soon find that the galaxy is less lonely than we thought.